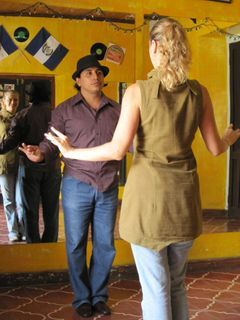 Private Lessons--improve dancing skills quickly! Private Lesson Package: This is a very flexible and valuable option. Purchase the private lesson package and enjoy Free evening group dance lessons & parties (except organized by guest instructors). 20% off for beginners and those selecting not to join FREE group lessons/parties (Punch Card is available and the price lower to $5 each lesson/party!). 2. pay $300 and take group lessons & parties by purchasing a Punch Card (lowers to per-visit charge to $5 for each lesson/party) or just pay $10 drop-in charge for each lesson/party (this option is good for people who cannot regularly join group lessons/parties often).